American School is looking forward to creating bright futures for homeschoolers when it attends the FPEA Convention on May 21-23 at the Gaylord Palms in Kissimmee. Most people like taking Memorial Day weekend off, but not American School. Once again this year, the 118-year old distance learning school will exhibit at the Florida Parent Educators Association Convention at the Gaylord Palms in Kissimmee over the holiday weekend. "The FPEA Convention is one of the best of the year, which is why it's an annual event for us," American School President Gary R. Masterton said. "We're thrilled to attend and show students and parents how our accredited high school courses can help them create bright futures." Convention attendees are invited to visit booth 617 on Thursday, May 21, from 5-9 p.m.; Friday, May 22, from 9 a.m.-7 p.m.; and Saturday, May 23, from 9 a.m.-6 p.m. to learn about American School and its services, including two new products which complement American School's existing paper-based high school courses and diploma programs. "Earlier this year we launched an online high school diploma program to satisfy the wishes of students who choose to learn that way," Masterton said. "Like our paper-based diploma program, the online diploma program consists of 18 units of credit, with a General High School Program available for those who wish to join the workforce or attend community college and a College Preparatory Program available for those who plan to attend a four-year university after graduating." American School now offers ten online world language courses through Rosetta Stone as possible electives or enrichment courses. Languages include Chinese, English as a Second Language, and eight others. 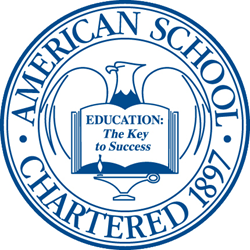 American School is accredited by MSA-CESS, Ai and NCPSA and recognized by its home state of Illinois as a non-public high school, so students and parents can feel comfortable learning from a reputable school. For more information, visit http://www.americanschool.org or call 866-260-7221 around the clock.